The taxonomical interpretation of the fossil record of our own genus Homo is still highly controversial. In spite of obvious major advances concerning the acquisition, analysis and interpretation of the fossil specimens there currently remain unbridgeable disagreements concerning the origin, speciation and dispersal of our genus. The polarized positions result foremost from different methodological approaches for species recognition (e.g., Tattersall 1986; Wolpoff and Caspari 1997; Schwartz 2000a; Wiesemüller et al. 2003; Jobling et al. 2004; Rothe and Henke 2006). Beside the Multiregional Evolutionary Model (MRE) there are different Recent African Origin Models (RAOMs) with varying numbers of speciation. This contribution discusses the evolution and origin of ‘early’ Homo, the assumed speciation events and the validity and credibility of traditional, newly described or reinterpreted Homo-species and the hypothesized patterns of dispersal. We ask for an explanation of the tremendous evolutionary success as well as the triggers for the incomparable career of Homo. Finally we will try to decipher the speciation process and dispersal patterns of our forerunners and to unravel the traces of our fossil ancestors. 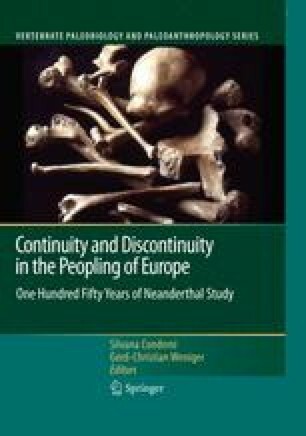 Though paleoanthropologists, who seek the doorways to the past, have recently been very successful in developing new sets of keys (Henke and Tattersall 2007), the species recognition within the genus Homo remains a permanent challenge of paleoanthropological research. As the evolutionary process was a single real-historic-genetical event it is not a matter of taste how many species there have been. There is a need for sound taxonomic units strictly based on phylogenetic systematics as a prerequisite for progress in evolutionary biology (Wägele 2000; Wheeler and Meier 2000; Rothe and Henke 2001, 2006; Wiesemüller et al. 2003).